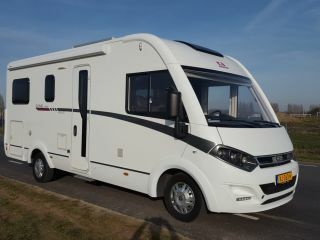 This motorhome is fully equipped; including a kitchen with fridge, freezer and 3-burner gas comfort. A generous seat, where you can stay comfortably with 4 people, offers great comfort during the ride. Furthermore, the camper is equipped with a wardrobe, a toilet room (with a cassette toilet) and a shower facility. You can lower the pull-down bed in no time. A space has been created under the fixed bed (French bed / cross bed) where you can store your luggage. 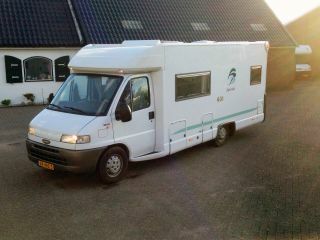 The outside is equipped with a cassette awning and bicycle carrier.